The key concern in competitive market is to maximize the performance as well as growth of the organization. To perform better among their competitors, every industry/company is trying to identify the critical success factors (CSFs) which will enable them to implement the latest technology changes in order to set a long-term sustainable edge. 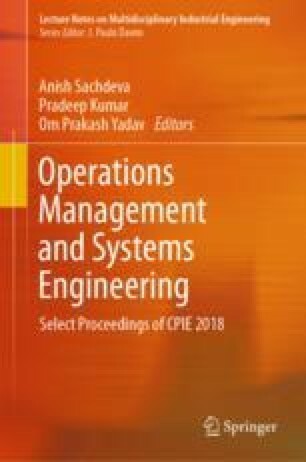 The present research identifies the critical success factors to enactment of Information Technology (IT) structure for better supply-chain performance system in auto industry particularly under Indian context. The aim of present research work is to recognize and examine the CSFs for implementing the IT-enabled supply-chain performance system. To achieve the aim, various success factors (SFs) were recognized on the basis of literature review/expert’s opinions and “Interpretive Structural Modeling” (ISM) with preference rating has been applied as a hybrid approach. Through ISM, interrelationships among the identified SFs have been determined. To know the driving and dependence behavior of considered success factors, this model was developed and to visualize the “driving power” and “dependence power” relations, MICMAC analysis was accomplished. After that based on ISM model leveling (through cluster), a list of “critical success factors” (CSFs) was formulated in order to prioritize them using preference rating approach. The findings of the present research work may be helpful for managers in forming strategies/policies for implementing the IT-enabled supply-chain performance system effectively and efficiently.